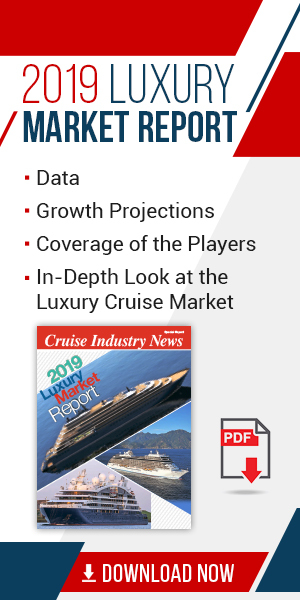 A new cruise terminal is driving double-digit cruise passenger growth for the Port of Lisbon, which falls under the Global Ports Holding banner. With the new terminal and a new cruise pier, cruise lines can look forward to more than 2,300 meters of berth space in the Portuguese city. “According to bookings already made for 2019, the key industry indicators tell us it’s going to be as good as 2018 or even better,” said Ricardo Medeiros, member of the board of directors for the port. The city is taking a proactive approach to manage the growth in tourism and cruise calls, according to Medeiros. “This growth is a huge challenge and we must maintain high quality standards, both for the port and city. We have been working very closely with the main stakeholders to offer the best experience to our guests,” he said. “One good example is a working group that meets every two months and includes the police, local government representatives, Lisbon tourism board, commercial associations, the Port of Lisbon and the goal is to anticipate some problems, discuss them and find good solutions to face the tourism growth that the city has been having. This group has been working for two years with very good results,” Medeiros continued. Lisbon’s new cruise facility is “future ship” ready, able to welcome any ship size. Berths are reserved on a first-come first-serve basis through the port’s reservation system. A final berth quay is assigned based on the size of the vessel, type of operation and time in port. Among top attractions for guests are the historic neighborhoods of Alfama, Bairro Alto and Baixa Pombalina.